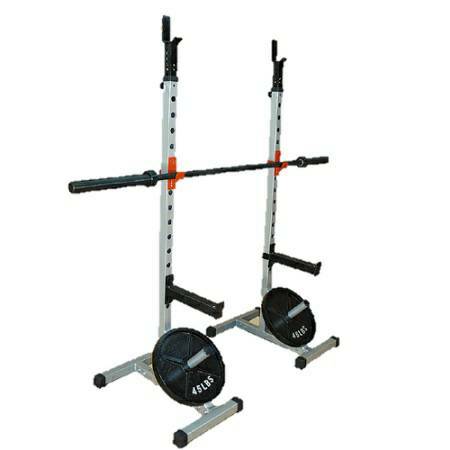 Portable H Base Squat Rack Solid and stable, this Squat Rack holds the bar safe and secure with the heaviest of weights. Bar supports feature height adjustments for doing Flat, Incline and Decline Bench Presses, Squats, Curls, Upright Rows, Shrugs, Calf Raises and much more! 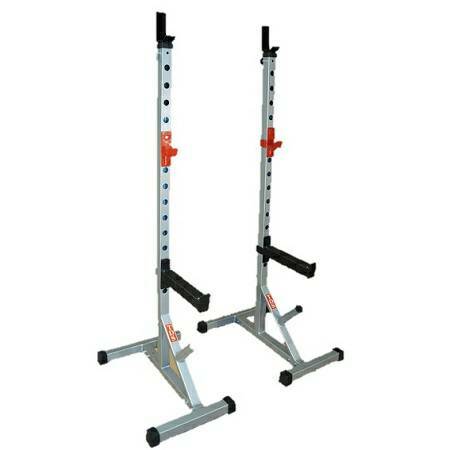 Jumbo long Spotters Hook Safety Bars for Squatting and Benching, Etc. Barbell, weights and collars optional.